They said it couldn’t be done. 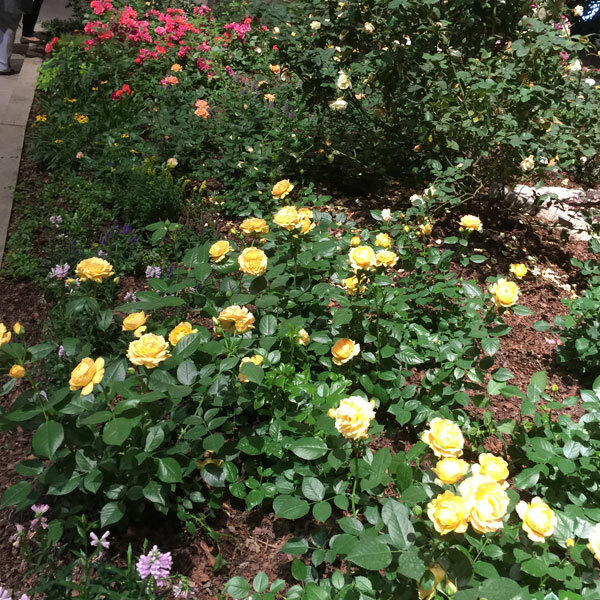 I was almost convinced myself that we weren’t going to have a rose garden at the Chicago Flower & Garden Show – in March – in bloom. 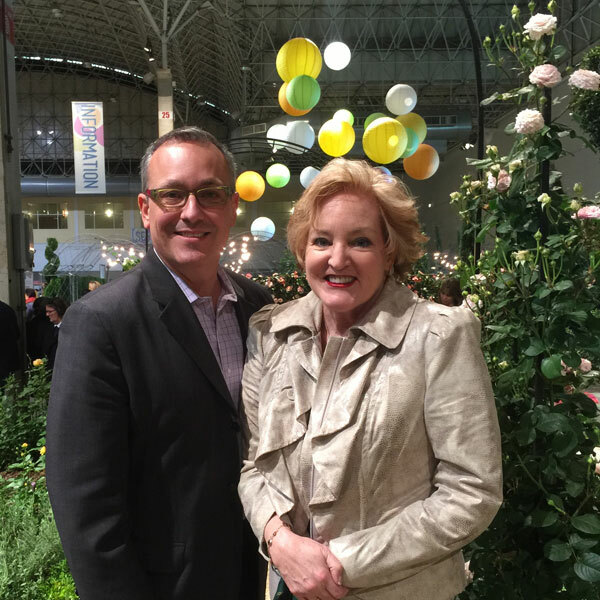 Then Show Director, Tony Abruscato and I sat down with Weeks Roses Sales Manager, Karen Kemp-Docksteader at the Independent Garden Show last August. Karen told us that Weeks Roses would provide all the roses we would need, but we needed to locate a greenhouse to force them into bloom by March. The process of forcing roses requires a white paper alone. That’s another story altogether. 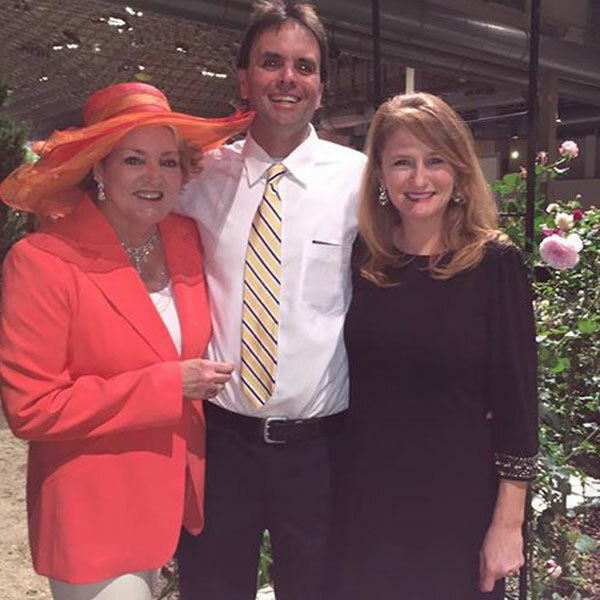 Then Star Roses and Plants, Vice President License and New Business Development, Jacque Ferare and his team that include Tim Wood and Kyle McKean said that their company would also provide Star Roses and force all of the roses into bloom at their greenhouses in Michigan. The next thing you know Tony had brilliant Landscape Architect, Scott A Mehaffey with a design for the garden. 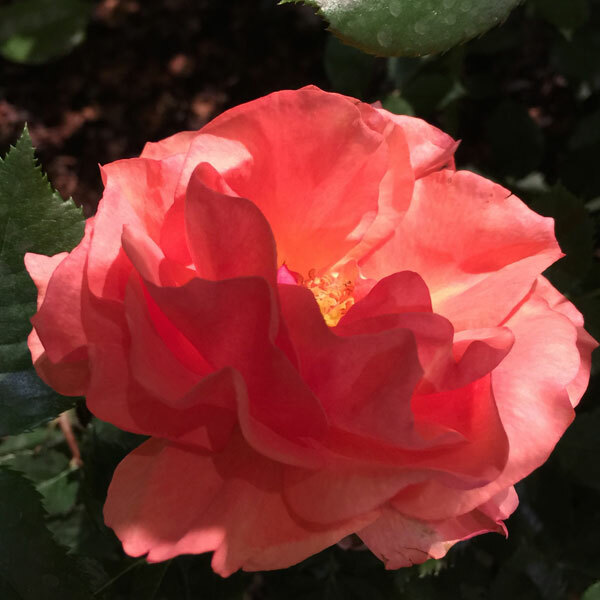 Sprinkle in some magic dust from folks like Matthias Meilland from the most distinguished, oldest family of roses in the world and things begin to bloom. Scott requested that creative rosarian genius Nathan Beckner of Gethsemane Gardens take a leading role with this project. This man talks to roses and they obey. I know this to be true. Nathan engaged Ted’s Greenhouse to force his roses that include some of the most beautiful David Austin Roses I have ever seen. 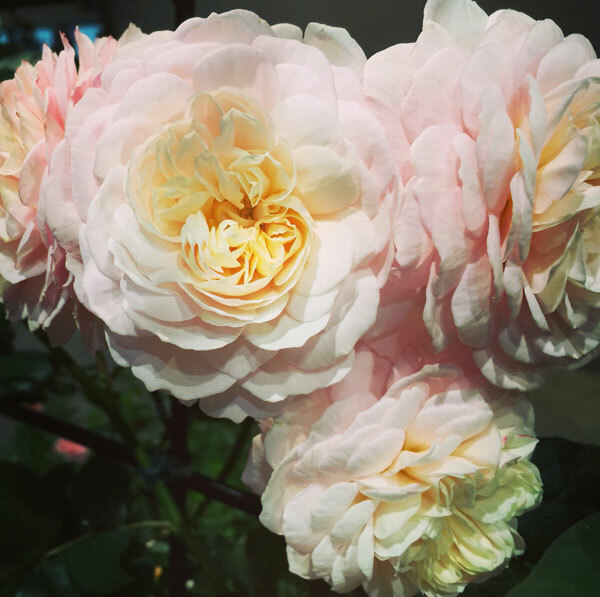 Nathan’s David Austin ‘Shropshire Lad’ captured everyone’s heart as it swept over the arbor, a magical sight for Illinoisans winter weary eyes. To know Nathan Beckner is to love him. 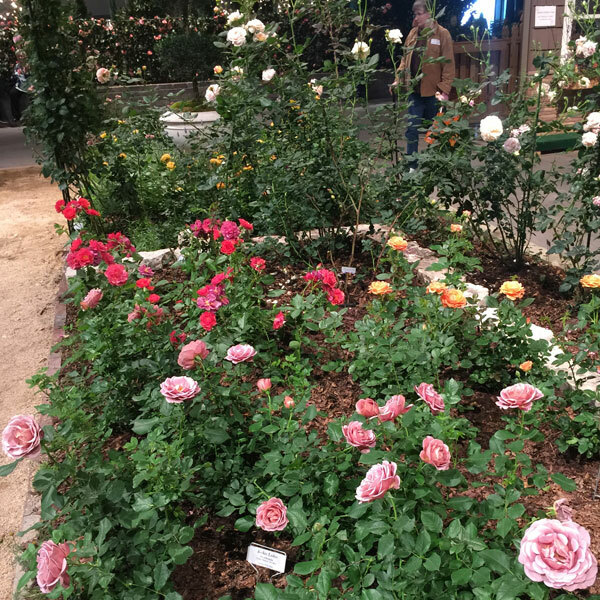 Nathan was at the show before it opened, watering and dead-heading the plants, staying as a docent, pruning roses and then he went to his full-time job. 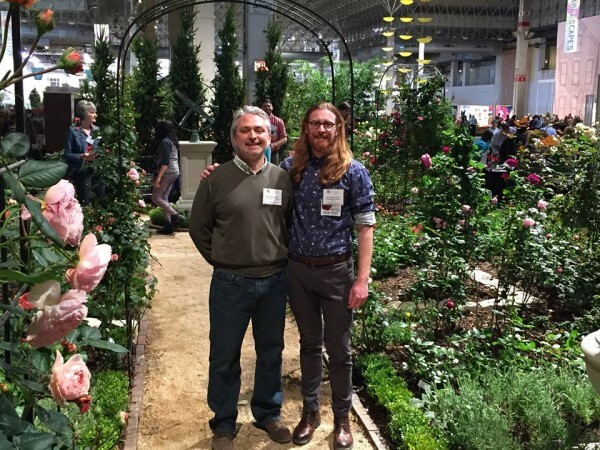 If you live near Gethsemene Garden Center you have one of the nation’s leading rosarians, Nathan Beckner as a consultant. If you love roses and gardens at flower shows then we owe these companies a tremendous debt, paid in gratitude, respect and our business. 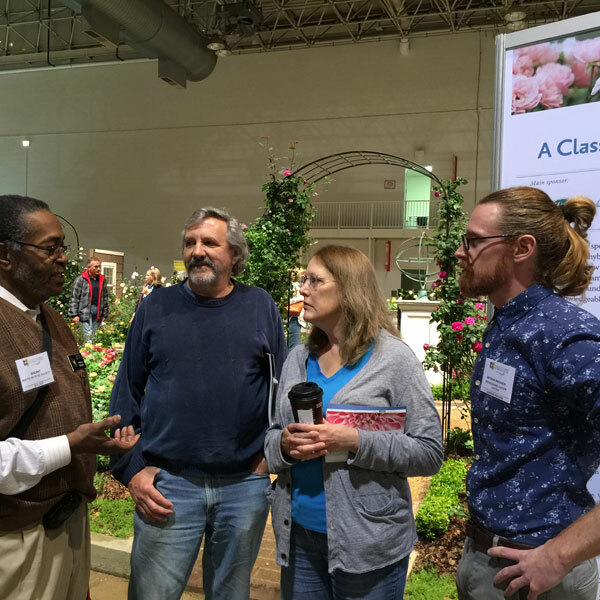 A way to honor these folks and be sure we have future rose gardens at The Chicago Flower & Garden Show is to give them your business because many of them worked at the show on their own time as volunteers. Landscape Architect and Founder of American Gardens, Jerry Milewski, built the garden and was there almost every day working as a volunteer answering questions from very gracious and grateful visitors. Even the Chicago Botanic Garden Master Horticulturist, Tom Soulsby (who I interviewed for the 2014 American Rose Society Annual for the article I wrote on the Krasburg Rose Garden) volunteered for a day and worked at the rose garden. John Beaty of Mills Magic was there opening night. We are so proud to have him as our organic fertilizer sponsor. And just think about the amount of organic soil that Mark Highland, of Organic Mechanics had to bring in for gardens like this. And yes I use his soil and I love it. 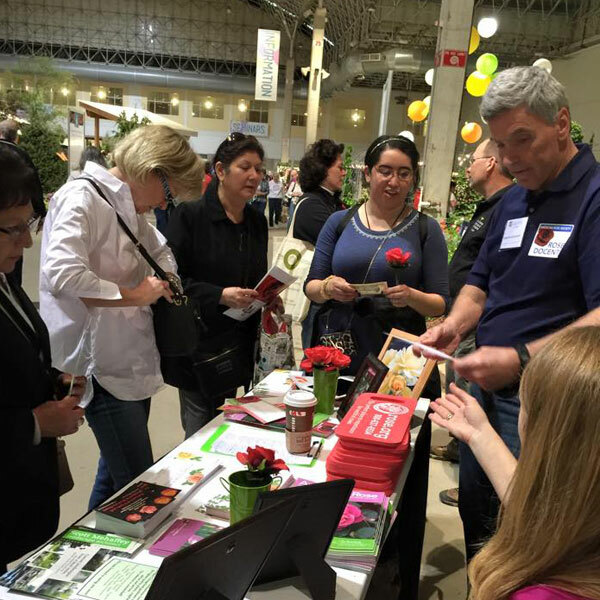 The American Rose Society (ARS) worked with me at record speeds, accomplishing coverage of volunteer Consulting Rosarians for the entire show to answer any questions the public might have about roses. Analytic Director for Mesa Boogie, Michael Fox provided me with the solution for tracking our volunteers. Thank-you Michael. 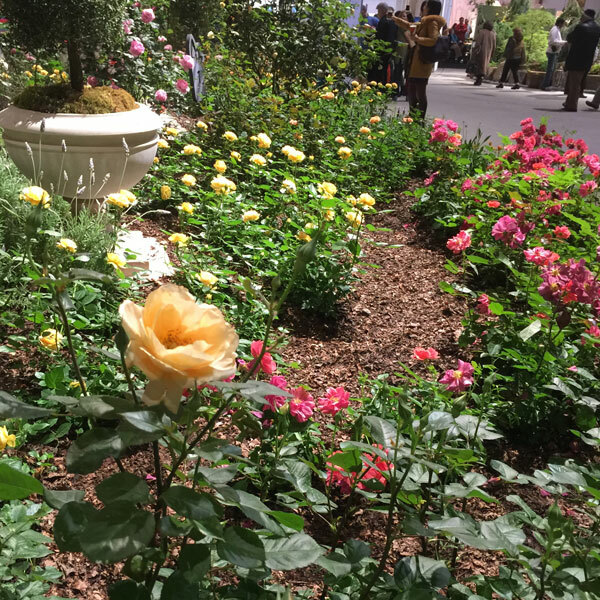 And we have to thank Jolene Adams, Pat Shanley and Jeffrey Ware of the American Rose Society for providing material and sending Laura Seabaugh and her close friend Yvonne Matherne who worked at the show right beside me as crowds filled our rose garden throughout the show. ARS President, Jolene Adams was the first person I asked if she thought this project was feasible. She was my behind the scenes coach and a cheerleader every step of the way. ARS, Vice President Pat Shanley is the most generous, fast acting, get things done person I’ve ever seen working through and with Jeffry Ware and Laura Seabaugh to make things happen. So you see roses bloomed in Chicago thanks to all these wonderful folks for the first time in over ten years. 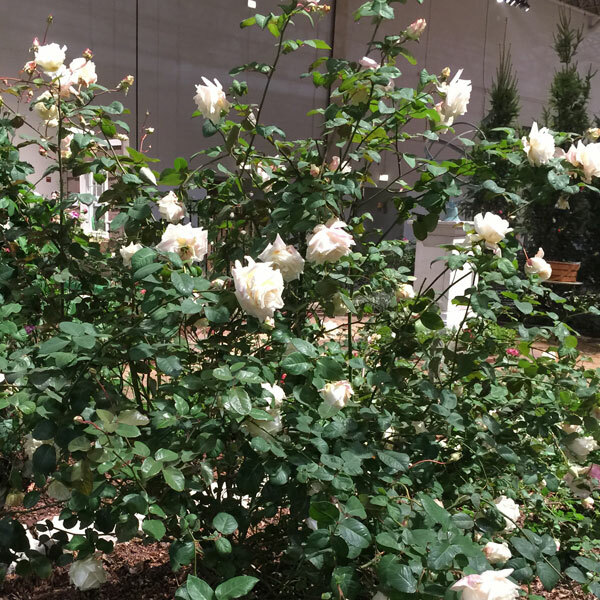 Gardeners attending the show saw that roses are easy to grow, require minimal care, are long living, and resilient. 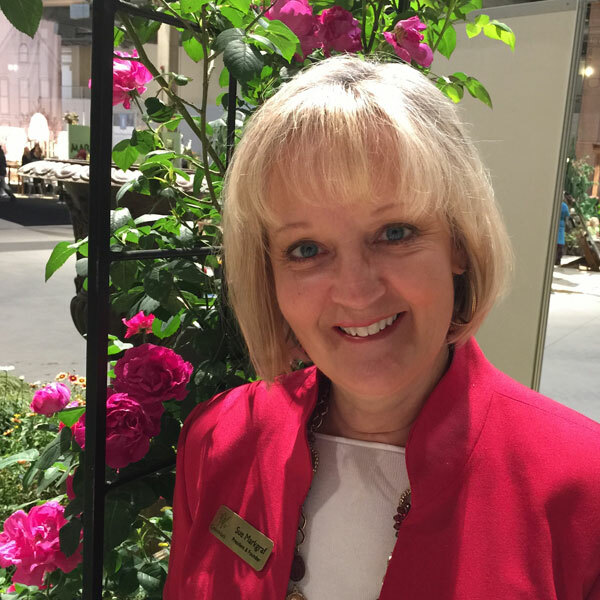 The American Rose Society (ARS) Director of Membership, Laura Seabaugh assisted as we coordinated ARS volunteer docents Consulting Rosarians available throughout the show at the rose gardens to answer questions about rose growing any attendees may have. Pictures are truly worth a thousand words. 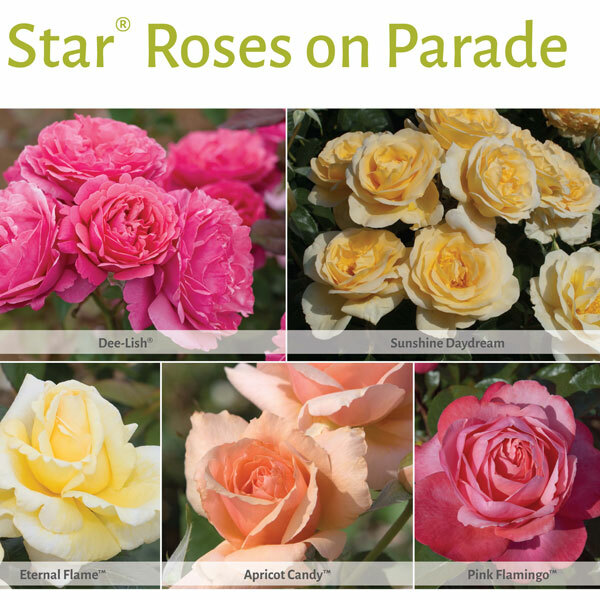 Here are the Star and Weeks Roses that we had at the show. 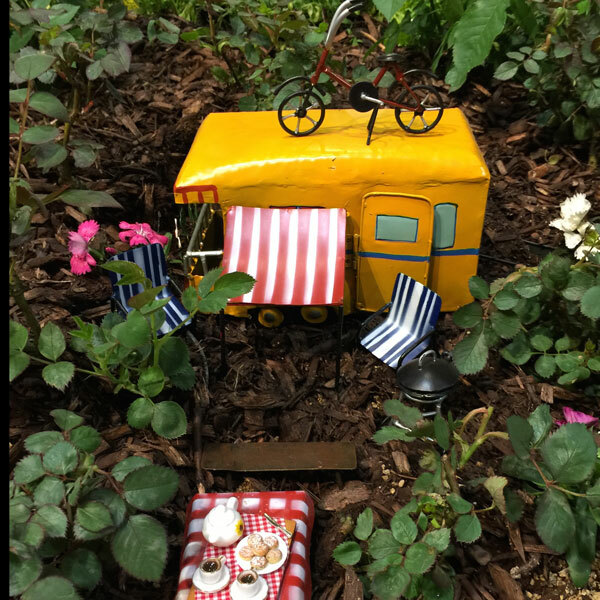 Garden Wise Living designed the Fairy Garden. We had miniature roses within the design to delight gardeners and children alike. The Fairy Garden was so popular with young and old alike. twitter ID is @greenblessings. Special thanks to Certified Roses, Mills Magic and Sue Markgraf and Gina Tedesco of Greenmark PR who were absolutely amazing through this show. Sue Markgraf is world class. disclaimer: I don’t own a pair of Tom’s shoes. Tom doesn’t know me, my Web site nor has he ever heard of me. My granddaughter has a pair. I read his story this week when @MargieClayman posted his blog and I think he is a great man with a wonderful mission. 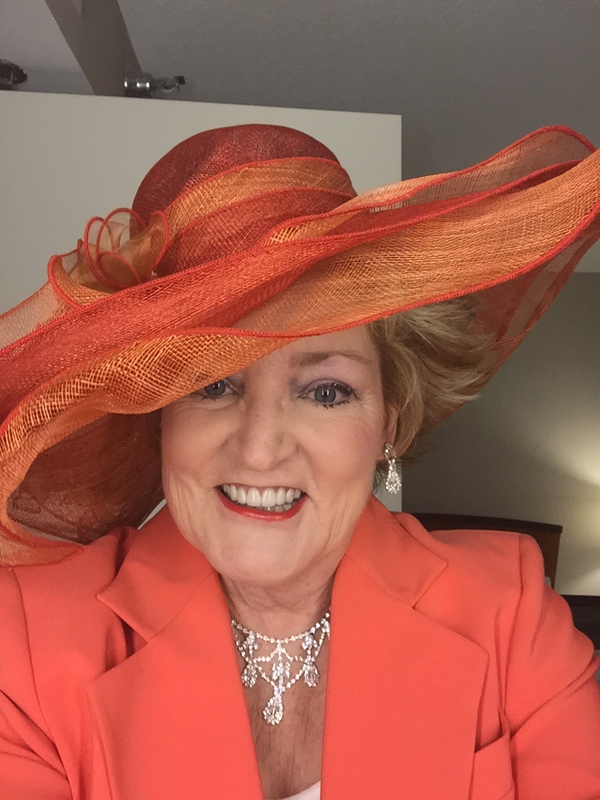 The Hat my darling daughter-in-law picked out for me sight un-seen of the color of my jacket and it was perfect! 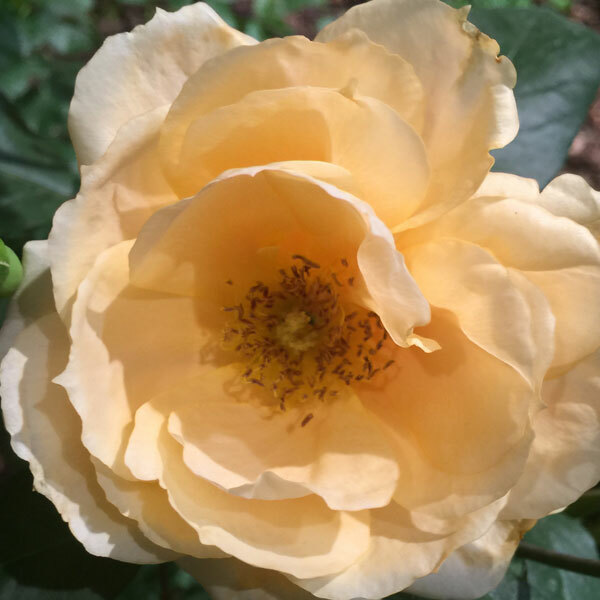 Pingback: Gaga's Garden® | Gardening News | Roses Are Sold Out! Roses don’t bloom naturally in Chicago until about Father’s Day in early June or late May if its a warm season. It’s can be cold and even snow and ice in March in this zone so we had to plant the bare root roses in a greenhouse around Christmas and create light and warmth conditions suitable to be sure the roses would bloom 3 months earlier than they would normally bloom.